A prequel to the God of War triology shows us Kratos' origins. A short video announcing the existence of another God of War game... this time a prequel to the trilogy coming to the PS3. God of War® fans rejoice! 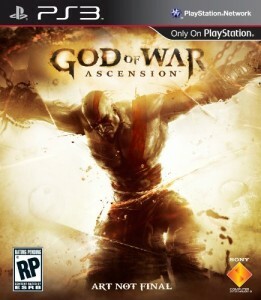 Infamous Spartan warrior Kratos is preparing to return to the PlayStation®3 system. This brand new trailer marks the official unveiling to the world of forthcoming game, God of War: Ascension™. I think we haven't been shown anything yet, and I don't understand what they are doing with these announce trailers that show nothing (not even a release window) in the middle of April. Save it for E3, Jimmy!